Durban - While the Sharks have struggled during the opening stages of Super Rugby this season, the progress of lock Lubabalo “Giant” Mtyanda has been one of the notable positives. The Pumas lock completed a loan move to the Sharks ahead of the Super Rugby campaign after impressing the coaches during his trial period in January. 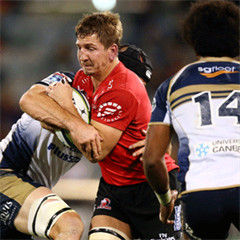 The 28-year-old made his Super Rugby debut during the Durban team’s 29-12 win over the Lions at Kings Park, and has cemented a starting place in the No 4 jersey since then. Sharks Director of Rugby Gary Gold commended Mtyanda’s performances for the Sharks. “Giant started his professional career on the fringes, playing in the Vodacom Cup and Currie Cup First Division,” Gold told MyPlayers.co.za. “He has developed into a great talent over the past few years, and he deserved an opportunity at higher levels. 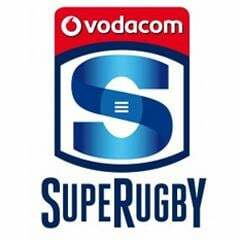 “And he has proven himself during Super Rugby this season. He doesn’t just hold his own, but he stands tall against some of the toughest locks in this competition. Against the Stormers, he did well against Eben Etzebeth, who is a Springbok. Against the Bulls, he faced a veteran in Victor Matfield, who has over 100 Test caps. Meanwhile, Gold remained confident about the Sharks’ chances of changing their Super Rugby fortunes following their disappointing start to the competition. The 2014 South African conference winners have lost three of their opening four games, which sees them languishing in the bottom half of the overall table. With 16 Springboks and two former England internationals in their squad, they were seen as one of the tournament favourites at the start of the competition. “This is not the time to panic,” stressed Gold. “The results have not been pleasing, but our performances do suggest that there is much more to come from this team. “Yes, we have many Springboks in our team, but that never guarantees victory. In fact, that motivates the opposition to play harder against us.